Growth Is the Keyword for Annova & Arvato Systems: The Broadcast and Media Experts Go for a Double-Sized Stand | Arvato Systems | IT Strategy. Solutions. Innovation. NY, March 21, 2016	(Newswire.com) - ​Focused on products, projects and people, arvato Systems will show broadcast and media elements from their extensive portfolio. With products that cover all bases, from MAM to media analytics; maximizing the potential of the video server to monetizing the ad inventory – and beyond, arvato Systems has the right solution for broadcasters and media companies. Annova Systems’ flagship newsroom product OpenMedia is the heart of the efficient newsroom, controlling and coordinating information and events, enabling news teams to connect with their audience. CEO Michael Schueller comments: “NAB provides the ideal forum in which to meet customers from across the world and present the unique broadcast and business solutions offered by Annova and arvato Systems. With double the space and four new partners, visitors to booth SU 5551 will find live demos of complete workflows and be able to meet experts in some of the most relevant and exciting areas of broadcast and new media today. joiz Global will be a focus of interest for broadcasters and content producers; the interactive OTT TV platform, website and app building services combined with sophisticated analytics capabilities can help them to better engage and monetize audiences. Modular automation solutions from HMS Media Solutions cover the entire workflow of TV stations – from ingest to distribution and, by easily addressing additional distribution channels via digital interfaces, enable broadcasters engage with audiences wherever they are. Plantri GmbH will show various Social Media Solutions for the Newsroom (NewsBoard, SocialMedia Gateway etc.) and its Dashboard solution: a new approach to giving broadcasters rapid, transparent access to data inside their business, for faster, more accurate decision making. make.tv’s Live Video Cloud, already fully integrated with arvato Systems VPMS Media Asset Management System, means that the work of TV and Media production streams has become significantly simpler. Content producers can quickly and easily navigate, view, select and edit live recordings as well as pre-recorded material – even before the video material hits the in-house production infrastructure. The combination of innovation and expertise make this one of the most exciting stands at NAB. Visitors to NAB (April 16 – 21, 2016) should make sure to include booth SU 5515 on their ‘must-see’ list. 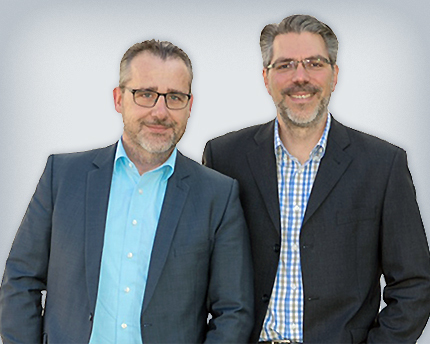 Image caption: Michael Schueller (l.), CEO Annova and Holger Noske (r.), Vice President Broadcast Solutions at arvato Systems.